Ed Storti pioneered the concept of motivational Intervention starting in 1973; with his best selling book, Crisis Intervention : Acting Against Addiction in 1988, a chronicle of his early work in creating a positive moment in the addicts and families life. Many Notable institutions in the Health Care industry have acquired his expertise on implementing symposiums on professional behavior for their staffs and management teams. His more recent book , Heart to Heart has received numerous recognitions for his style of intervening and expectations of staff professionalism. Over the years of utilizing many health care facilities it has led him to present professional talks internationally regarding achieving excellent customer service! Medical centers, chemical dependency facilities, universities and national conferences request Ed’s educational lectures and presentations. The Storti Model of Intervention personifies the motivational, inspirational and spiritual method of working with the addictive person. His authored books include Crisis Intervention: Acting Against Addiction (Crown Publishing Company, 1988, republished 2019) and Heart to Heart: The Honorable Approach to Motivational Intervention (Carlton Press, 1995, republished 2001). Ed is also a contributing author of the book, Addiction Recovery Tools, Robert Holman Coombs, Editor, (published by Sage Publications, 2001). 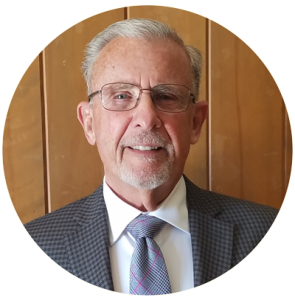 Ed devotes much of his time to education on the disease of addiction, the process of intervening and exceeding customer expectations. Two documentaries featured on television that highlighted his Storti Model of Motivational Intervention are The Party’s Over, Lifetime Television and The Journey Back, PBS Television. I think back to September 13, on that cool early morning when eight of us had such high hopes, feeling so confident that our intervention would end in a trip to the treatment center for our daughter. So many people had traveled so far and invested such love and hope in its success, we knew it couldn’t fail! Within a matter of minutes after such careful planning and professional guidance from you, so much positive energy, so many prayers, so much pain, so many tears, we couldn’t fail. When Tina walked out, I thought my world would end. Even through the debriefing, I couldn’t believe she was really gone and the intervention, ever so brief, was over. I kept thinking she’ll come back. We’ll have another chance to give her our gift of love and a chance, not just for life, but for a well life. We could hug her and tell her we all loved her and would stand by during treatment. I slowly came to realize that she wasn’t coming back, that we had to leave and each go our separate way with our own pain and loss. She had not accepted the greatest gift we had to offer. We had nothing to do but leave our letters of love and affirmation of our gift of life and literature from the treatment center. We were left with the memory of her frail, sick little body going as fast as she could over the mountain with her dog beside her. I felt completely hopeless. This was the end. I firmly believed I would never see my daughter alive again; we had done the best we could. We had given her the greatest gift we had to offer, the gift of life. She had walked away. Now it was our job to let go, to try to pick up the pieces of our lives and go on but the memory of her going over the mountain would be with us forever. Exactly six months from that day in September, Tina called and said, “I can no longer do it alone. I need help and I have called the treatment center. Will you go with me? I am so scared.” That was six days ago. I am writing to thank you, Ed. It’s been twenty years of despair wondering what more we could do for Tina. Through your guidance, we were able to let go. We had given Tina the greatest gift we had to offer. It was given with love and, importantly in this case, a gift she could accept any time. For her that was vitally important. Even though it took six months to accept, she was reminded every day through our initial letters that we loved her and the gift was available if she decided to accept it. This was comforting for us and finally worked for her. When Tina decided to go into treatment, she called everyone who had been part of the intervention to tell them she was going and apologized for not accepting their gift at the time. She thanked them for being there and for their continued love and support. I hope our story will give comfort and encouragement to other families in pain. Ed, thank you for showing us the loving way to help. A three-year study completed on 397 Storti Model cases (roughly 12 percent of all Storti interventions) showed that 95% of patients go into treatment immediately after the intervention. Even among the 5% who do not immediately accept treatment, 80% accepted treatment within a few weeks to a few months of the intervention, often soon after the intervention. So many patients choose to accept help because Mr. Storti’s method is inspirational, motivational and honorable. Mr. Storti has worked with disorders and addictions of all types. These include alcohol and other drugs, prescription medication as well as anorexia, bulimia, compulsive overeating, nicotine addiction, gambling, sexual addiction, and depression. He has also intervened on heart disease, diabetes, and cancer patients as well as on the elderly. These classes of patients often need to be motivated and inspired to accept recommended health care or other treatments. Ed Storti, C.A.D.C. II, Intervention Specialist, has been practicing motivational intervention techniques for decades, winning the loyalty of clinics and the gratitude of clients in over 3500 interventions. "Heart To Heart" presents stories from Mr. Storti's experiences that inform and inspire people who want to know what to expect from addiction and Mr. Storti's motivational intervention. © 2019 Ed Storti LLC All Rights Reserved.